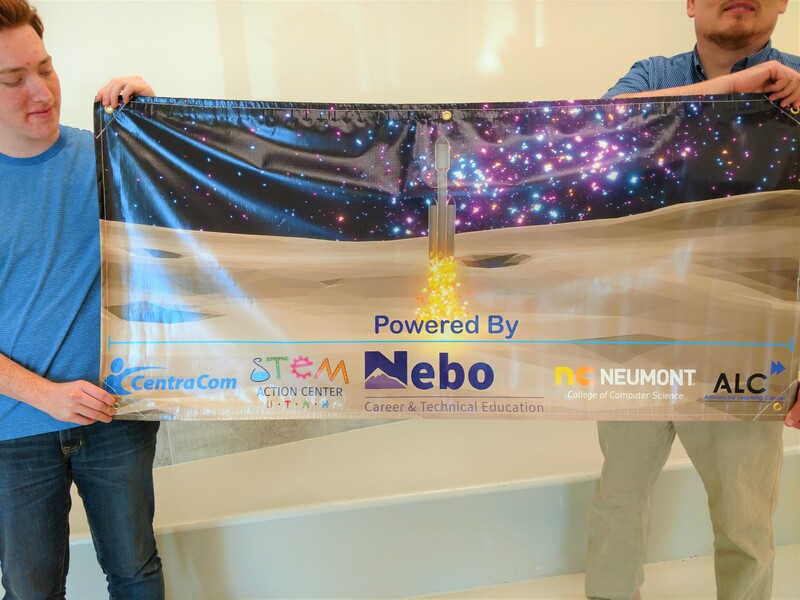 About three weeks ago Cameron Jolly was presented with an amazing opportunity to make a poster for the ALC robotics team featuring the sponsors of the event. The theme of the whole event was space. Given that rough outline for what they wanted in the background, Cameron went through a few iterations, finally landing on an art style heavily influenced by the game Astronomer the concept was born. The background of the poster was created in Blender, a 3D graphics design program. When asked Cameron stated, " It was such a pleasure to work with them and to finally see the end result was one of the most rewarding experiences."